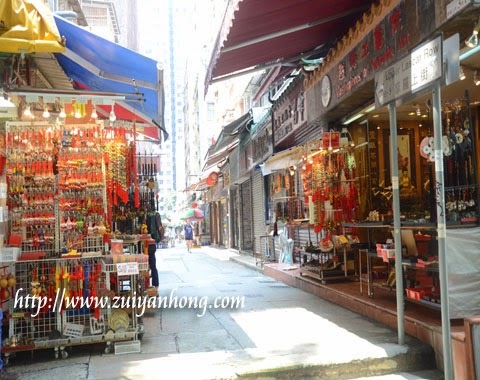 After savoring Hong Kong beef hofan, we walked around Sheung Wan. 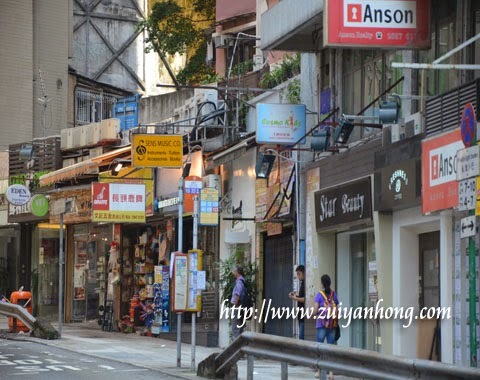 This is Wing Lok Street in Sheung Wan. 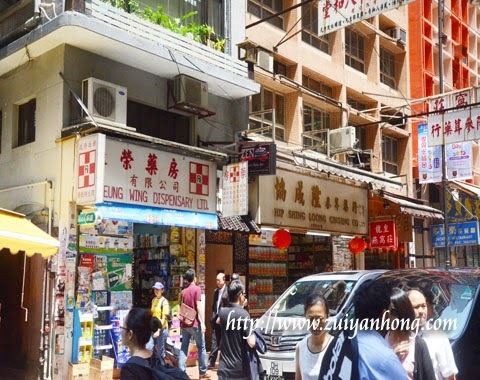 There are many Chinese herb stores and dried seafood shops. 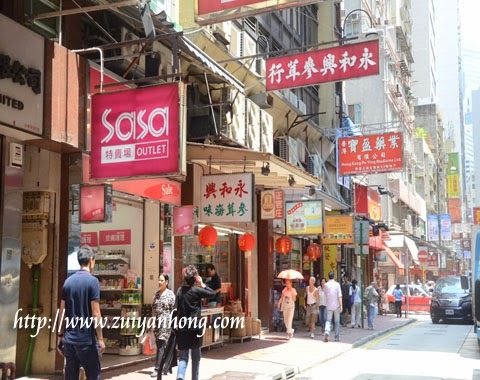 We headed to Upper Lascar Row which is not far away from Wing Lok Street. 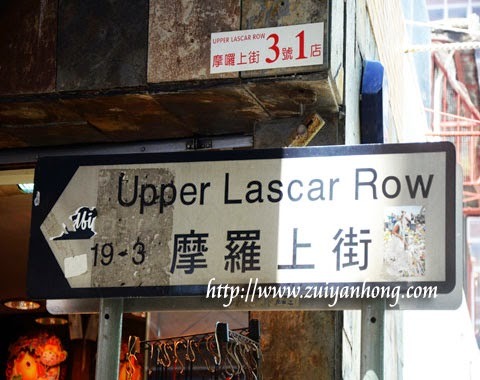 Upper Lascar Row is a narrow lane with many stores selling antiques and used stuffs. 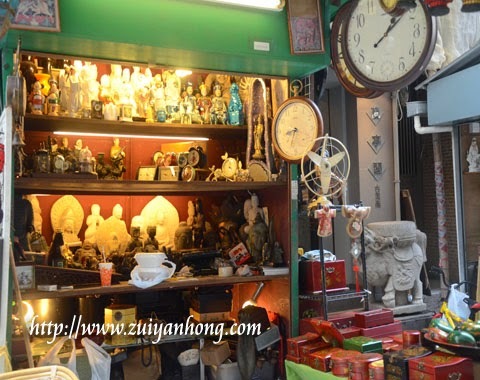 Many antiques and secondhand goods are available at Upper Lascar Row such as fans, clocks, statues and many more. After Upper Lascar Row, we moved to Hollywood Road which is extending to Queen Street West. 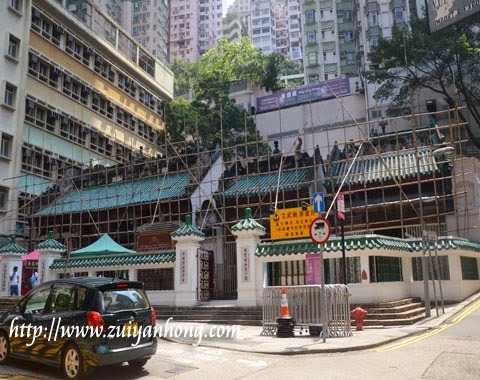 The Man Mo Temple is located at Hollywood Road. It's under renovation during our visit to Hong Kong. 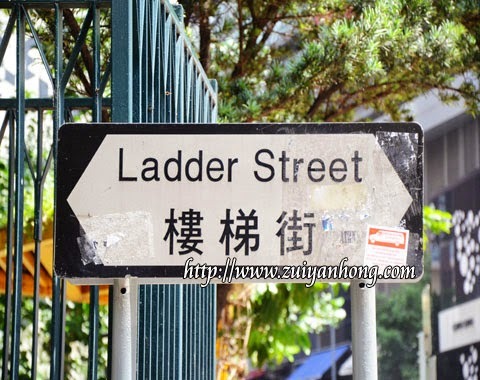 Same as its name, Ladder Street is a street with ladder. 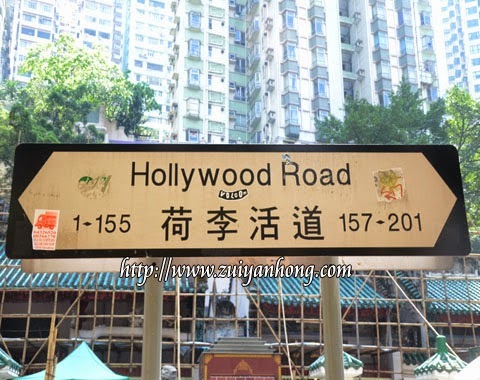 Ladder Street is a popular location for Hong Kong movies and television dramas filming. 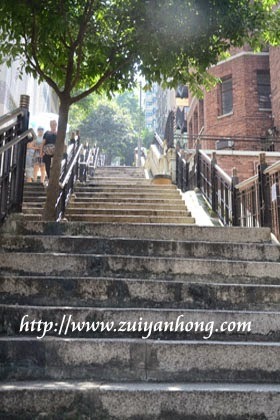 We walked up to the top of Ladder Street and reached Caine Road. We strolled along Caine Road to Central of Hong Kong.